You might have not heard that phrase bundled with an individual pronoun in a sentence. In other words, you might not have come across a situation where value proposition of a person is considered; all the cases you have come across are companies. Value proposition is almost like the mission statement of a regular company. It details what will make the company very dear to its customers and have them keep paying for the company's products/services. The company's all-time strategy. A recent example is Mark Zuckerberg's re-iteration, three days ago, of Facebook's all-time strategy: "This may sound a little ridiculous to say, but for us, products don't really get that interesting to turn into businesses until they have about a billion people using them,"
Here's a company focused more on getting users than everything else. It bought Whatsapp for $19 billion even though it was making a loss. It has now pledged to spend more on long term projects that will get people onto the internet in the poorest part of the world and ultimately get them to use Facebook. But lots of investors think that the cost of acquiring those new users are unreasonably high and have been dumping their Facebook shares. Another company is Amazon. A company that has put it's major competitors out of business; yet it has made more losses than profits since its 17 years of existence. It has made it clear that what matters is the market share it grabs rather than profit. 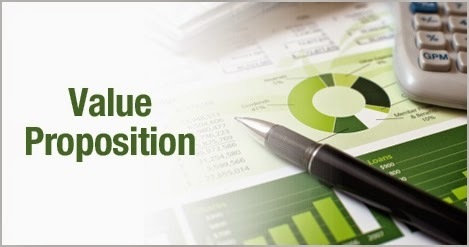 Its value propositions are centered on price and convenience to grab all the competition's customers. 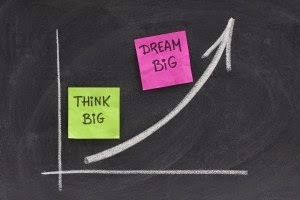 Remember my article on why you need to run your life like a business and think like a company? Then you will know that you should have a value proposition too. Your all-time strategy that guides you in all you do. It will set you apart professionally. My value proposition is to provide easy to use innovative solutions. And that's why even my blog posts are easy to read with an innovative curve. I value simplicity above number of users. I also give up a lot of earning hours to upgrade my skill and be innovative always. If I were a big company I would have not so many clients that I provide premium quality solutions they can't get anywhere else and that are very easy to use. What is your own value proposition? Two months ago I sold 95% of my shares in the stock market. I didn't sell them because I suddenly went bearish on the stock market or because I found something wrong with the companies whose stock I held. I didn't sell them to open a Forex trading account. I didn't sell them to buy treasury bills. I didn't sell them to invest in bonds. I didn't sell them to fund my money market fund nor did I sell them to fix the proceeds in my fixed account. I sold them to invest in my business. I even went further to take out almost everything in my ARM Discovery fund account. I now have almost zero investments in the stock market. I took all those money and put it in a much better investment: my business. It makes no sense for me to quit my job and work everyday on my business, and put my money in other people's business. Especially at the stage where my business is just starting and will require every cash I could put into it. I strongly believe that I can get more returns for my money by investing it in my business than putting it in any company trading on the Nigerian Stock Exchange. I do not deprive my business of anything I can afford. Success in business is dependent more on persistence than on any other thing. I have my obvious shortcomings that make me a terrible business manager. My technical personality that made it possible for me to start the business is now the very thing hindering it from growing fast. But the good thing is that I am not the first or the only one on this very path. I have seen many people follow similar paths, and I am impressed enough by their level of success that I am not in a hurry to become less technical. If being technically sound is what comes natural to me, then I am going to be the best resource person in my chosen field. I am going to produce the highest quality jobs, write a lot about what I do and give conference talks. 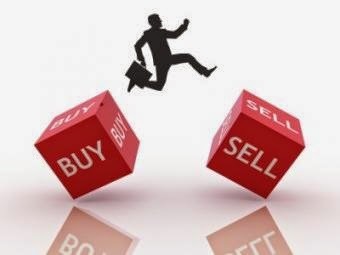 So I sold my shares to buy the business resources I need, the books I need and the online presence I want. And left the remainder as my working cash. I am acquiring skills I see no one around me having and getting the business experience to master those skills. I read a lot of industry news and analysis of the future business demands. 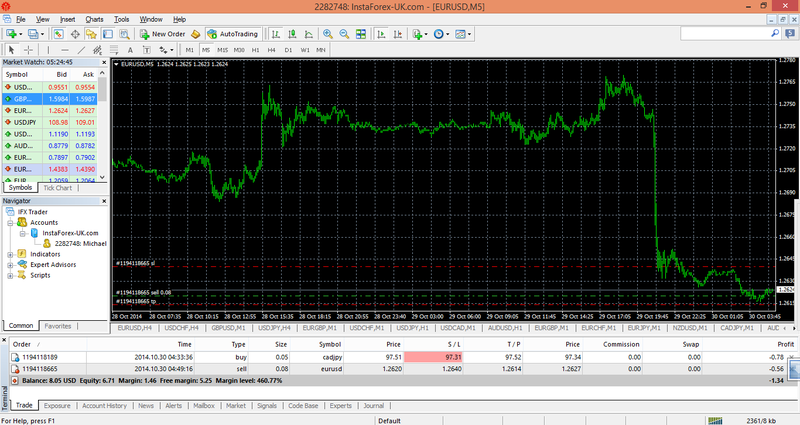 I try to position myself at the front, becoming proficient at the best tools and understanding the global trend. I want to provide the same value my clients can get anywhere else in the world. I want to compete on a global quality level. And it all requires a lot of time, learning and money investment. I'm very young and so have the time. I am already learning a lot. And now I have put all my money where I need it most: my business. Yesterday I helped a friend install the Windows 10 Technical Preview on his laptop, side by side his Windows 7. Now he chooses which to use and has all his files and software intact. He's been so happy he now sees his laptop as almost new. And I finally decided to help, via this post, as many people who are desirous of the joy of being the early users of Windows 10. I have detailed out the steps in easy to follow ways. STEP 1: Backup your current Windows and files. This is fairly straightforward. Most laptops and PCs come with a backup tool. 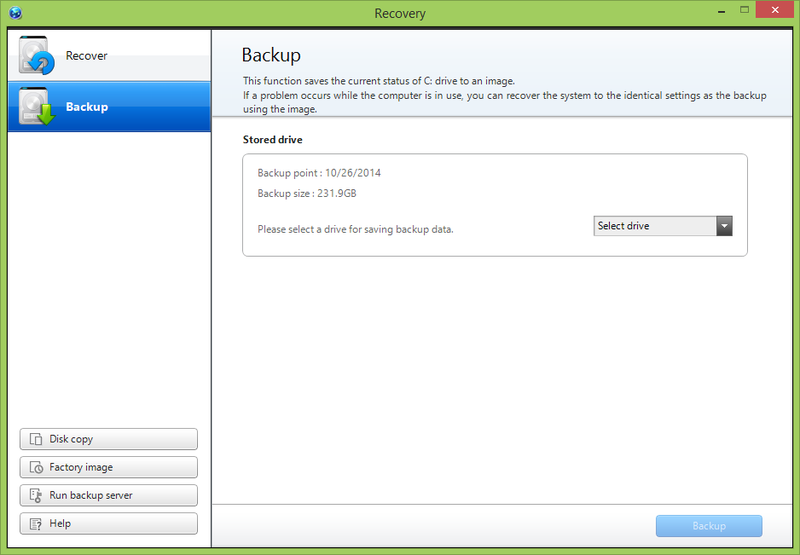 For my Samsung Laptop, the tool is called Recovery. There is a reason I didn't make this the step 1. The reality is that doing a full system backup will take as much or more time than downloading the Windows 10 Technical Preview. So once you've initiated the full system backup, you can download the Windows 10 Technical Preview by following this link. If your PC is 64 bits then download the 64 bits version, otherwise download the 32 bits version. 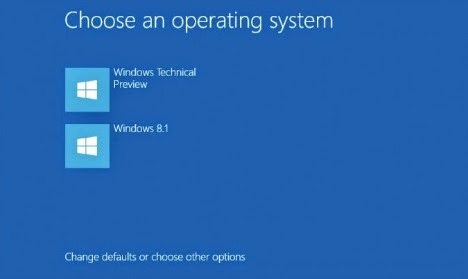 You will need to have a separate partition to install the Windows 10 Technical Preview. 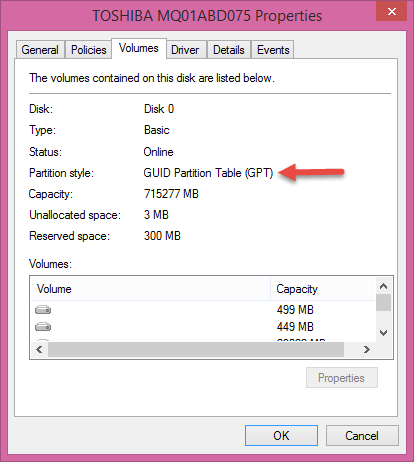 If you don't have any free/empty partition to use, you can shrink one of your existing partitions to create a new one from it. 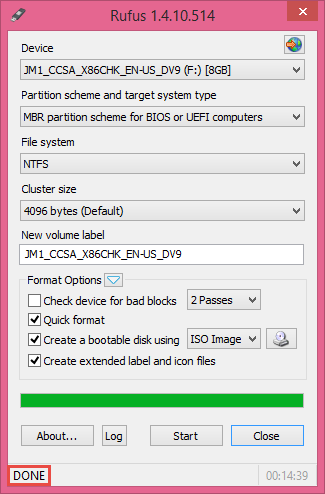 It's very safe and it won't damage the existing partition. You will only be taking some of its free space and creating a new partition from it. Open My Documents, and on the left pane, right click on Computer or This PC (whichever you see). Then click on Manage. 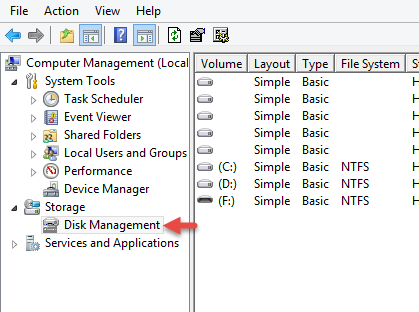 In the Computer Management window that comes up, on the left pane, click on Storage, then Disk Management. 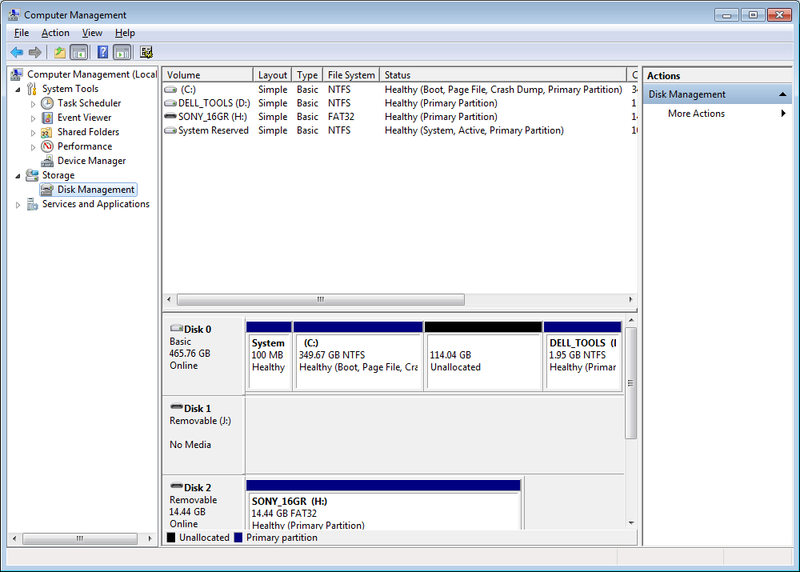 All your existing partitions will show in the right panes. 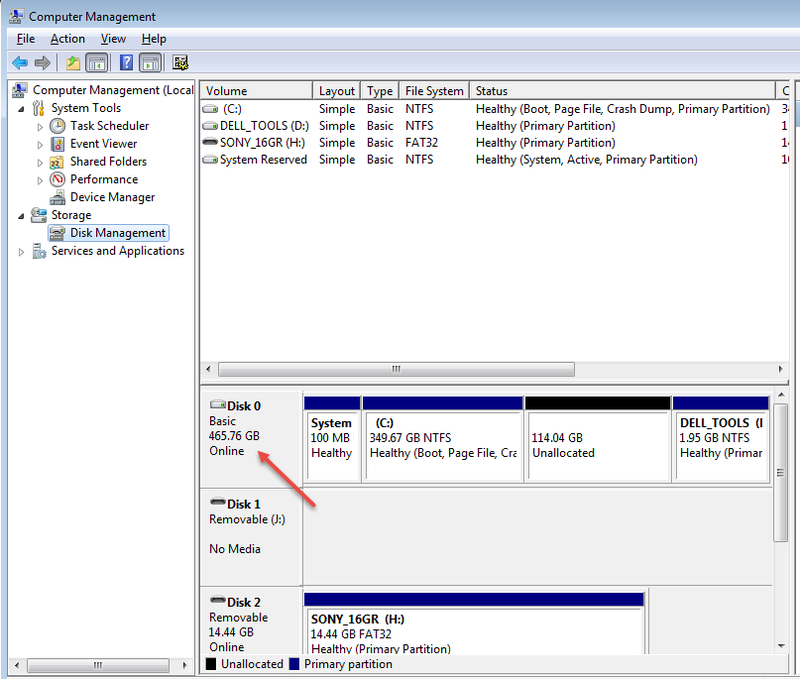 Now, go to the lower right pane and rightclick on the existing partition you want to shrink. Specify the size of the new partition you want to create. (In the example above, I specified 100GB). Then click shrink. 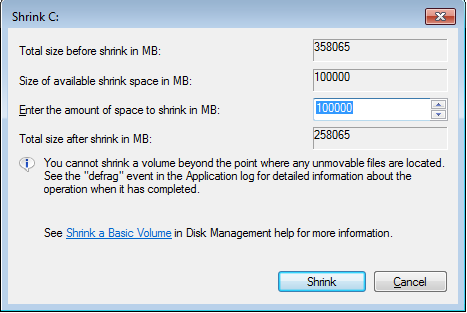 Once the shrinking is done, you will see a new partition called Unallocated. That's the one we will use for the Windows 10 Technical Preview installation. 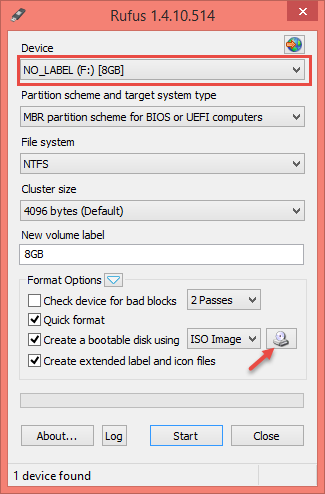 STEP 4: Make a Bootable USB Flash Drive. We are now halfway done. 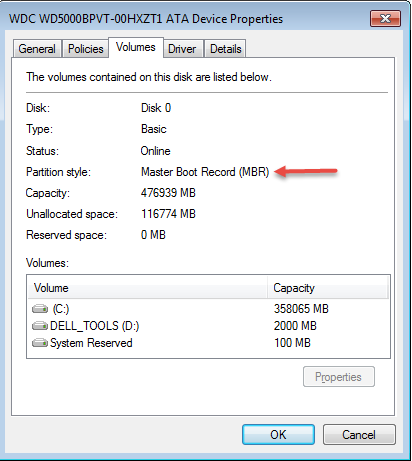 You will need to make a bootable USB flash drive from the Windows 10 Technical Preview you downloaded. Get a USB flash drive that is 4GB or above. Plug it into your PC. Back it up if you have valuable files in it as it will be formatted. 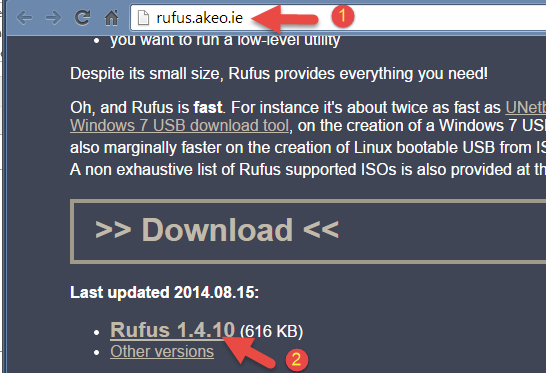 To make the bootable USB Flash drive, download Rufus. Once you've downloaded it, run it and you will get a window like the one below. Ensure the Flash drive to be used is the one showing under Device. See what the arrow in the screenshot above is pointing to? 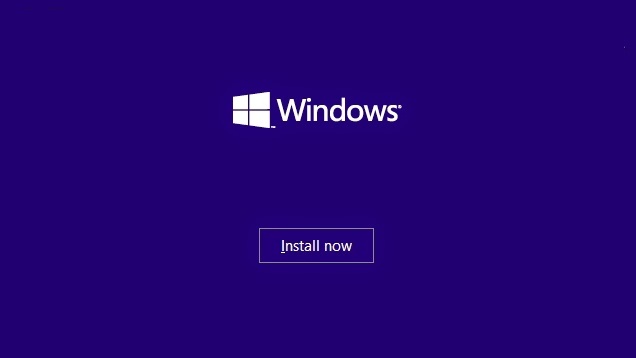 You will click on it to load the Windows 10 Technical Preview you downloaded. 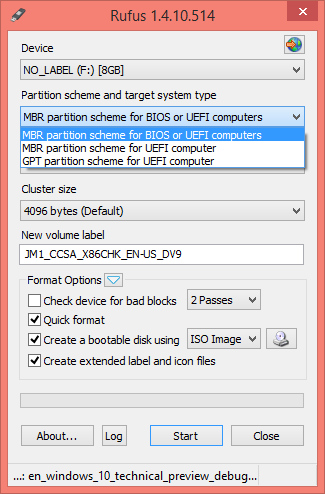 Next is for you to verify the partitioning scheme used on your PC. If it is MBR or GPT. It's easy to find out. Remember the computer management window where you did the shrinking? 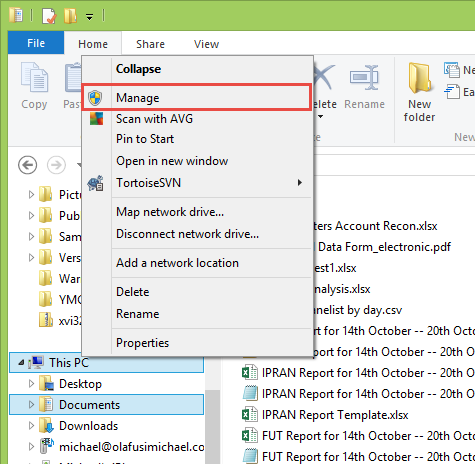 Go back there and rightclick on the Disk name in the lower right pane. Click on properties. You will see a Window pop-up like the one below. Under Volumes you'll see the Partition Style. The one below is MBR. And this one is GPT. Now go back to Rufus and select the Partitioning scheme that corresponds to yours. If yours is MBR, go with the first MBR option. And close once it's done. And that's all for this step. We have made a Bootable USB flash drive. Reboot your PC and press F2 or F10 (depending on your PC type, but one of the two will almost always work) to set your PC to boot from USB drive. 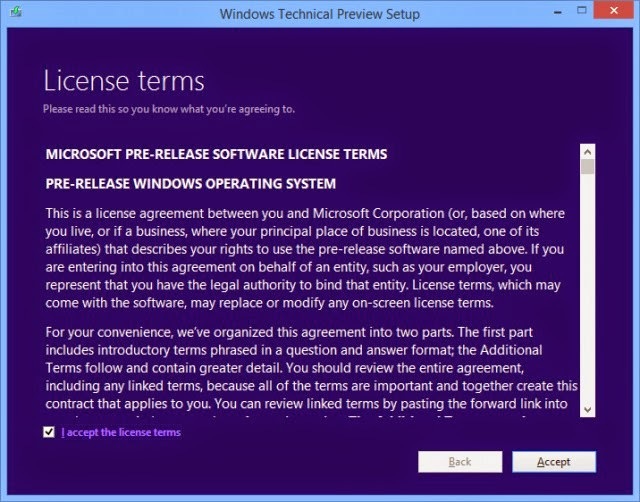 Then follow the easy steps you will be shown to install the Windows 10 Technical Preview. 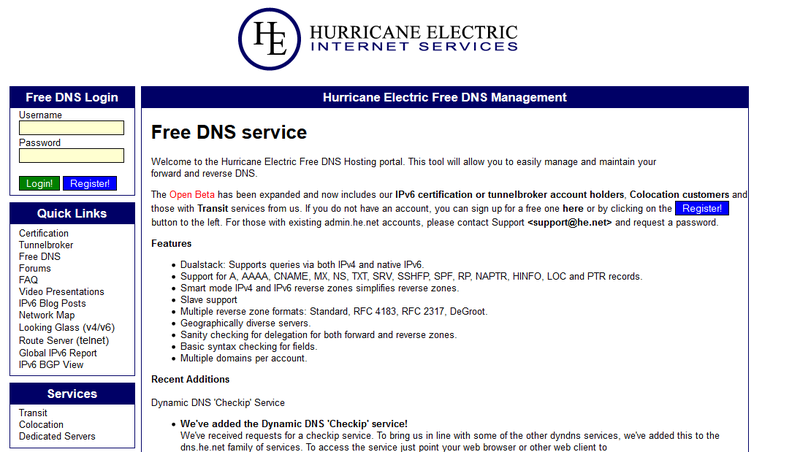 Next page will prompt you to select the mode of installation. Choose the second mode, Custom. Then you will be taken to where you'll specify the partition to use. 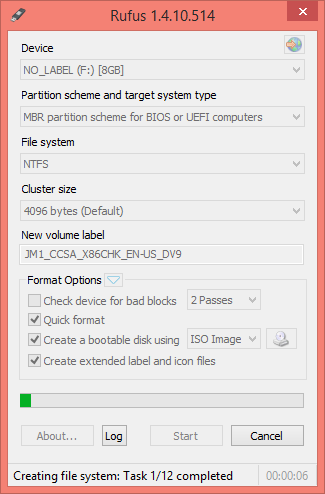 Choose the Unallocated partition you created in step 3. The installation will begin. 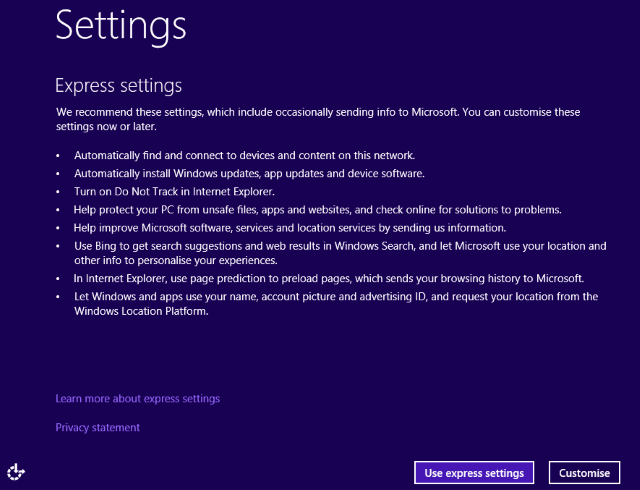 When you get to a page prompting you to choose settings, go with Use express settings. Once the installation is done, you now have two operating systems side by side on your PC and you can select which to use when you start up your PC. Last week I came across a white paper by a Senior Instructor for Global Knowledge. It is a survey backed analysis of the IT skills that are no longer in demand and the ones with rising demand. You can get the original white paper here. And I have pasted below almost the entire document. The striking part is that one of the dying skills was what my last job role was based on: the PSTN and PBX systems. 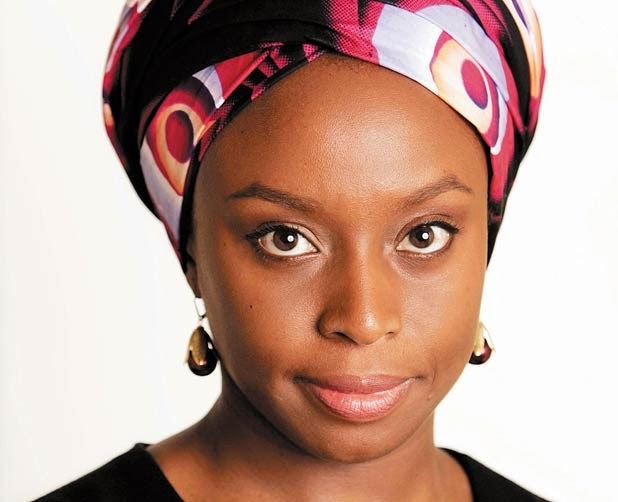 IT is constantly changing with regard to skills, infrastructure, and service delivery. So much so that IT skills gained two years ago may well be obsolete today. That means the skills college students learn in their freshman and sophomore years can easily be irrelevant by graduation. Keeping up can be a challenge. There are way too many mission-critical projects needing completion. Only people with the right knowledge, experience, and skills will be moving up instead of moving on. 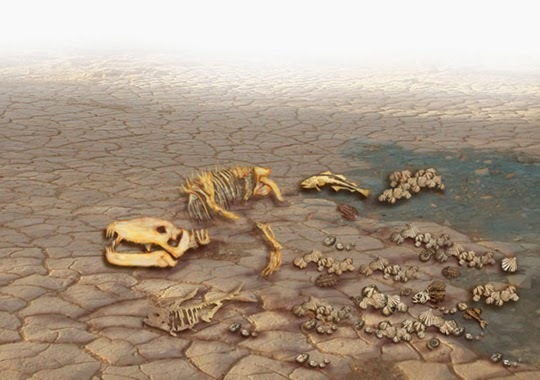 To help you stay ahead of the game, here are ten IT skills that are on the brink of extinction. They were popular and commonly used for years. Now, the majority of programming work has transitioned to object-oriented languages like Objective C, Java, C++, and C#, pushing COBOL and Fortran to the back shelf. Sure having these skills means you can support older applications. But as businesses drop these older programs for modern applications written in newer languages, these types of programmers will have fewer opportunities to put their skills to work. This year, Microsoft will end its support of Windows XP and Vista. Next year will see the end of support for Windows Server 2003. If bugs, exploits, etc., are found in them, they will go unpatched. Many new applications no longer support them and drivers are getting harder to find. Though there are still many IT staff who know these operating systems, the demand for these skills is rapidly shrinking. Traditional PBX systems and PSTNs are gradually being replaced by servers with the same and more functionality in software. Modern communications software does much more than route voice calls to desktop telephones. These days unified communications combines voice, voicemail, fax, and data to the desktop, along with other features and functions, all offered in software configuration. Microsoft introduced Silverlight to compete with Adobe Flash. They promoted it to develop desktop widgets and web pages in Vista. Windows 8 will still run Silverlight, but Silverlight fails to work with the new Windows Store (a.k.a. Metro) apps or on Windows Phone. 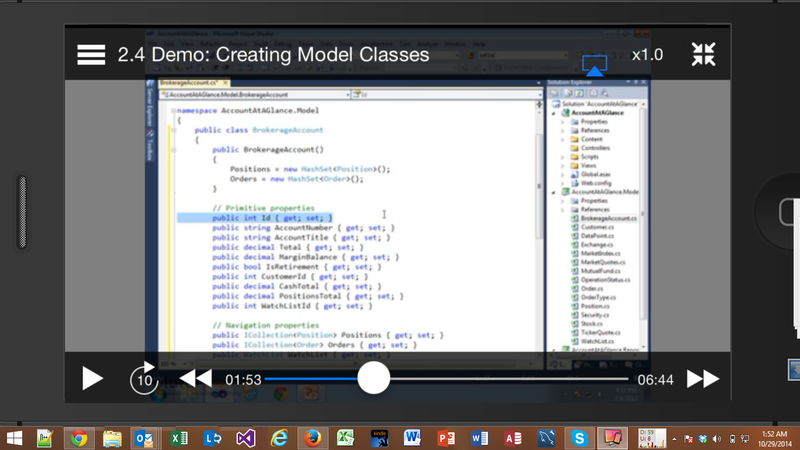 It is very much a Windows-only technology and fading in favor of HTML5. With operating systems taking up the functions of many middleware packages, middleware has become a means of supporting legacy solutions. By their definition, legacy systems are older solutions being used until they can be replaced, which removes the need for the middleware. Flash is widely used, but Adobe dropped support for all mobile platforms back in 2011. Like Silverlight, Flash is being replaced with HTML5. So, most websites are moving to HTML5, which works on mobile and desktop operating systems, including iOS, Android, Mac, Windows, and Linux. The move to the cloud is expanding. Software as a service is becoming normal. 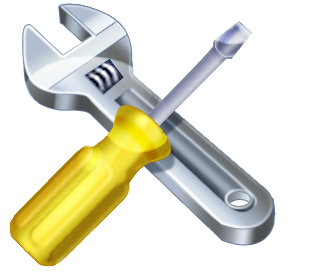 This reduces the need for software installers and those who support software. Instead of patching and upgrading on the local computer, the work is done on the cloud. In today’s world, instead of repairing a failed hardware part or peripheral device, users most often replace them. With lower prices and upgraded components, it’s cheaper to replace parts than it is to repair them. With virtualization becoming the way of the future, fewer servers are being deployed as the number virtual servers increases. That means there is a big drop in demand for server administrators who only know server administration. Many customer relationship management (CRM) applications like PeopleSoft and Siebel are going away in favor of cloud-hosted apps that accomplish the same functions. The same is true for enterprise resource planning and supply chain management, according to our annual IT Skills and Salary Report. Making a list like this is often a great challenge as it is usually a moving target. For example, there are more lines of COBOL programming written than any other language. Someone will have to maintain all that as long as there are any systems still running with those programs. At the same time, the chance of finding a job with that as a major skill requirement is becoming very slim. That suggests that people wanting to build a career in IT should consider more recent programming languages like HTML5. I bet you weren't surprised to see this post emailed to you at about 8:00am. It's obvious that writing is one of my strengths. (If you didn't get any mail from me, then click here to subscribe to my blog). We all have our strengths and weaknesses. And some of us have a weird combination of the two: what comes easy to regular people is difficult for us and what is difficult for regular people is easy for us. At some points in our lives we have tried to work on our weaknesses. Last year, I tried to become an extrovert. This year I tried to pick up phone calls more. What I have found out is that working on your weakness, as good and necessary it could be, never takes you beyond average. The best you can achieve is to be like everyone else. If I had succeeded in becoming an extrovert, I would definitely be a below average extrovert. Not an outstanding one. And at the middle of this year when I succeeded in picking up almost all my phone calls it was a Pyrrhic victory. But working on your strengths takes you from good to great. You go from a good Excel user to an Excel guru. You even begin to monetize that strength of yours. People will only pay you for what you are great at, not what you are below average at, regardless of the amount of efforts it cost you. And that is why I think everyone should focus on their strengths. Focusing on your strengths not just make you great at something, it also makes you feel good about yourself. It helps you to live a motivated life, knowing there is a value you can create better than most other people. You feel confident about yourself and that confidence radiates on your face and in your gestures, as against when you put all your energy into trying to fix your weaknesses and only achieving average results. And to ensure that you are convinced, take a look at all the people we consider as legends: Michael Jordan, Michael Jackson, Usain Bolt, Lionel Messi and Tiger Woods. None of them became a legend at something they sucked at and later improved on. They all became legends at things they had a natural edge in and focused on them. Usain Bolt has always been an amazing runner; he, then, built a professional career out of running. Messi didn't become a goal wiz recently, he has always been a goal wiz since age 8. That was what got Barcelona interested in him at age 12. And I don't need to talk about Michael Jackson; he was born singing. If you are serious about becoming someone phenomenal in life then you have to pay less attention to your weaknesses and pour out yourself on your strengths. Whatever you are good at, become great at it. In anything you do that make your ordinary efforts look extraordinary, it's time you became outstanding at them. Focus on your strengths. And I mean all types of intelligence: soft, hard, EQ, IQ, geek and sleek. Malcolm Gladwell is a little right when he says there is no self-made man. Every man is a product of his parents' genes and some panel beating. But more genes than panel beating. Yes. And way more than we like to believe or claim. I could start my explanations with the research that tracked the lives of twins given up for adoption at very young age and who were adopted by families of different social standing living in very different societies. Yet the twins showed just as high correlation in intelligence as those who lived together with their parents, proving that genes are the biggest determinant of intelligence. But I wouldn't use this line of argument as there are also equally compelling research that prove otherwise. Rather I will back my claim with my observations. Observations of how incoherent all other possible determinants of intelligence are. The same environment that turns out a priest also turns out the criminal. Even our notorious universities have turned out many youths who have shattered academic records in high ranking foreign universities. Most of our popular musicians probably went to school that had no music class nor music teacher. You would expect Obasanjo to have come from Niger Delta and Jonathan to have come from South West. If something as external as the proper understanding of the value of rice is necessary for university admission then there is a Nigerian state which will not have as many professors as it has. No where have I come across an external factor having a logical consistent effect on the level of intelligence of everyone. Not even age. What I have seen happen consistently is that bright parents give birth to bright children. Fashion crazy/intelligent parents give birth to fashion intelligent children. An Ibo man gives birth to an Ibo boy; Uche & sons limited. Even natural newscasters give birth to Radio Eleje. And there is often little the external factors can do about it. Even if you take the child of naturally bright parents and have him grow up in the jungle among monkeys and apes you will only be remaking Tarzan.You can lock an eaglet with chicks in a cage, it's never going to make it less an eagle. Truthfully, there are some things the environment can influence. It can determine who gets a job or not (a graduate in US vs an equivalent one in Nigeria). It can determine how absolutely/narrowly smart you are (a professor vs the village judge). But the one thing it has almost no real effect on is how really intelligent you are. Because intelligence is more genes that every other thing combined. Growing up I used to feel the students who weren't doing well academically were simply lazy. Though I knew that the education system was broken and not a scale to weigh people on, but I also felt that there was no way anyone would put some effort in and not get some decent results. I used to look critically at the lifestyle of my school mates who weren't doing well academically and would figure out all the little changes they could make to greatly improve their academic performance. I, also, did try to show a few of them those changes they could easily make, but gave up in the end. I now know why they couldn't make those little changes. It's because not everything can be fixed. 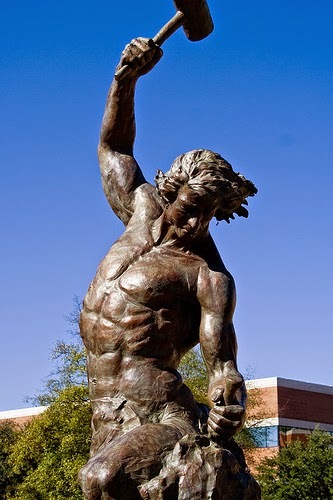 No matter how much you diet or starve, you can't be leaner than your skeleton. I have never come across an adult who is trying to grow taller. When it comes to our physical features we have little trouble distinguishing between what we can fix and what we can't. But when it comes to our personality we feel everything can be fixed, especially about someone else. That was what I got wrong about my school mates. Because while in an academic environment and the focus was mainly on our academic performance I wasn't able to see what was not going right in my life that a couple of little changes would have fixed, but was seeing the few changes my not-so academically inclined friends could make to better their school life. Now that I have been long outside the academic environment, in a totally different world, I am now the lazy one. Lazy in my social interactions. People are constantly showing me the little changes I could make to achieve more decent results and give up after a while. It reminds me of what one of my friend at school used to say, "Freeman, you shouldn't judge me based on your own capability. You understand what the lecturer is saying before he is done but I have to read and have you explain to me before I get it." And he seldom got it satisfactorily. Everyday I get asked computer questions that I consider extremely easy but are perceived as very difficult by the inquirer. And everyday I struggle with things most people do with extreme ease. Just like we wouldn't attempt to get taller by dieting nor take on any of the obvious physical limitations, so also are there limitations around our habits that are beyond fixing. Not everything can be fixed because there will always be things that we can't permanently change even if try. Today, I saw a T-shirt on a man with the following words on it, "A rolling stone gathers no moss." 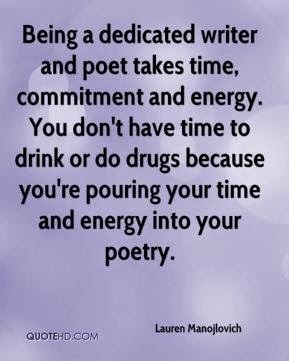 There are many ways to interpret the proverb but my preferred interpretation is that living an active life lets no worries stick to you for long. When you are constantly facing new worries everyday nothing will trouble you for long. You are constantly shaking off old worries. Unlike most other interpretations, I believe being in constant motion means taking up lots of responsibilities. 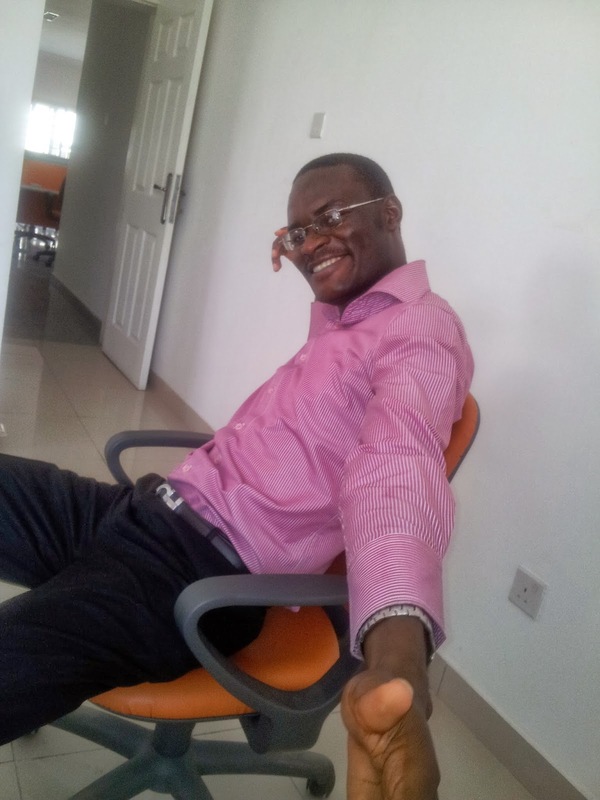 I consider it the difference between Jonathan the Lecturer and Jonathan the President. When our President was a lecturer he had a well defined job role and wasn't rolling about much. But since he became the President he has been doing about a million things, rolling around to fix our national issues. He is now a rolling stone that is not overwhelmed by any one worry because each single day is filled with new worries for him. He can't afford to gather moss or he will be killed by the pressure upon him. When you have a flexible job or live a not too structure life, you come in touch with lots of ideas and activities. Life becomes fuller and more fun. Nothing can keep you down. You know that no victory is permanent and no failure is final. You have faced so many chilling experiences that you are now immune to a lot of what troubles most people. You are more focused on tomorrow than today. You become an optimist. You even look forward to the future, and not just for what it brings but also what it relieves you of. You don't feel too attached to anything and have a more open mind. Living a very active life also means you'll get a lot of uncommon opportunities. You'll get to see things from several perspectives and make excellent use of all your skills. You also get to learn a lot of new things and see the strange beauty that lies wherever you go. 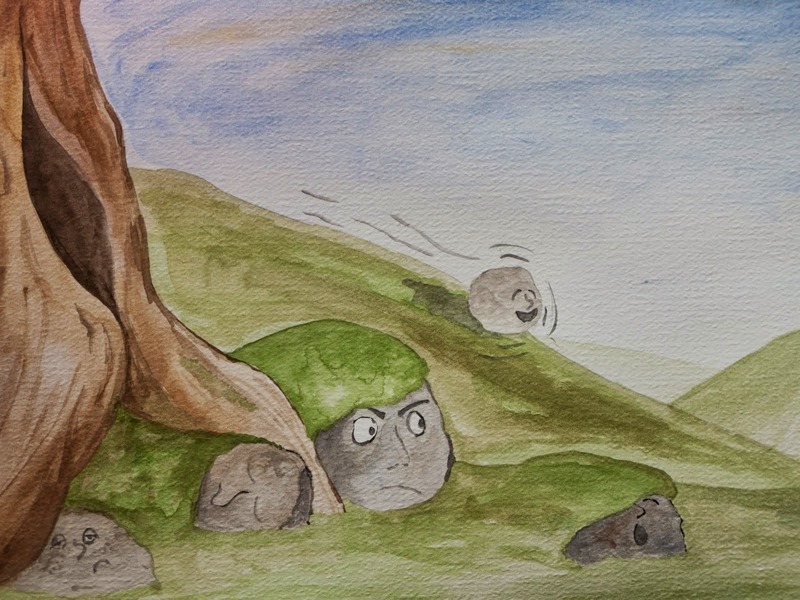 A rolling stone gathers no moss. Live a much more active life. Don't forever court the mundane. Roll around, either by physical or mental activities. Don't let you mind be filled with idle thoughts but with creative solutions and thoughts. I believe that hard skills are more important. Your soft skills are your people skills. How well you handle difficult situations at work. How well you get along with people at work. How well you work in a team. How well you manage people. And how well you manage your life. So they, obviously, are very important. Your hard skills are those skills you acquire by going to school, reading technical books and doing certification courses. They determine what you can do but don't care so much how you make people feel while doing it. And they are the bulk of what we list in our resume and CV. So why do I say hard skills are more important than soft skills? First, we live in a hard world. When it comes to low level jobs, we always prefer the candidate with the best soft skill. Everyone wants a house-help with more soft skills than hard skills. You care more about how she addresses you, get along with people and handle difficult situations than any housecleaning certificates she has. And when we move up to a higher level job, we want almost an equal mix of soft skills and hard skills. That is why most last stage job interviews focus more on how well you will fit into their company culture and get along with your new colleagues. But when we move up higher still, we get to a stage where we only care if you can do the job and not how you do the job. When a country is looking for a bomb expert they don't care if he is bipolar or not. When a company is dying and needs a saviour, they hire someone with the hard skill of turning around businesses even if he is heartless. When we want the best and guaranteed results we always go (and pay very high) for hard skills over soft skills. And then on a personal basis, there is a natural limitation to the wealth of soft skills you can acquire which we almost always quickly reach. If you are unfortunate to be on same level of people skills as I am, then all the learning and schooling in this world can't help you much, soft skills wise. But if you were born a politician and have all the charisma God could stuff in one person, no one is going to pay you enough to make you a millionaire just because of of your soft skill. To make any substantial earning you will need some in-demand hard skills. But without any soft skill and just some high-end hard skills you can live like a king. Though it could be better if you had soft skills, still, it would be impossible if you had just soft skills.